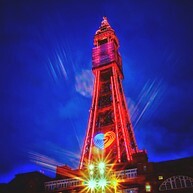 Known for its "Kiss-Me-Quick" hats, sticks of rock and the ubiquitous fish and chips, Blackpool has all this and more. With miles of golden sands, stunning Victorian architecture, a host of entertainment for young and old alike and the Yorkshire Dales and Lake District right at the doorstep, Blackpool enjoys a scenic setting and easily maintains its status as the unofficial entertainment capital of the North. Known as the unofficial entertainment capital of the North, Blackpool certainly delivers on its promises. The town is essentially a collection of theme parks, show venues, shopping spots and active pursuits. From the iconic Blackpool Tower entertainment complex to the funfair piers (with rides and roller-coasters) and cabaret shows to opera at the Winter Gardens, the city will keep visitors of all ages and interests happily occupied for days on end. Blackpool’s answer to the Parisian Eiffel Tower, Blackpool Tower is an entertainment complex all in itself. Visit the ballroom and waltz to the sounds of Wurlitzer organ, enjoy an afternoon tea, explore the eerie dungeon and walk on air at the amazing SkyWalk at the tower's very top. The Piers are a testament to Blackpool’s Victorian heritage. 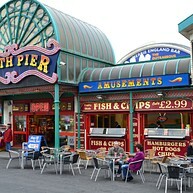 All three piers (Central, North and South) are pleasure palaces with different things happening - the Central Pier is the liveliest one teeming with attractions and eateries, while the Southern is closest to amusement rides. 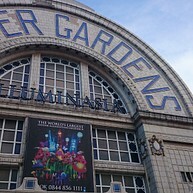 The Winter Gardens is an exquisite example of Victorian architecture which holds twelve different venues where events, shows and performances are frequently hosted. Check the schedule and find out if there is any event going on while you are visiting. 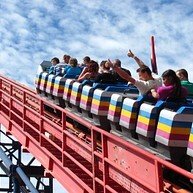 Heralded as one of UK's finest theme parks, Pleasure Beach is a family-friendly entertainment venue where exhilarating thrill rides that take one's breath away mingle with attractions for the younger guests (children will surely enjoy the Nickelodeon Land). Iconic shows are hosted here, too. Have a playful day in this indoor water park where the weather is always sunny. Sandcastle Waterworld is UK's largest indoor water park, and a true favourite among children with its over 18 rides, wave machines and different fun pools. Opening hours vary by date (consult the website for details). Visit the Sealife Centre and find out about the fascinating world of fish. This is a thrill for both adults and children. See everything from small seahorses and starfish to sharks and stingrays. Do not miss the shark tunnel and a pool where visitors are allowed to physically touch marine creatures. Blackpool Zoo holds some 1500 animals, ranging from elephants to tigers and lions, to humble pygmy goats and even tarantulas. Here, visitors get the chance to come in close contact with animals. Various animal talks and displays are put on throughout the year. The Great Promenade Show offers an outdoor exhibition of amazing interactive sculptures. It features some of UK's best designers and artists and is a creative attraction that you should not miss. 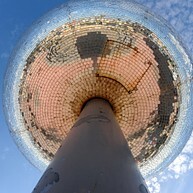 Artwork and installations are set up along the south shore of Blackpool. 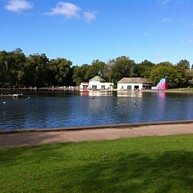 Escape the hustle of the Golden Mile and take a stroll through this tranquil park. Motor and bumper boats are available for hire. This is the largest park in town, and when heading here do not forget to bring some nuts to feed the omnipresent squirrels. 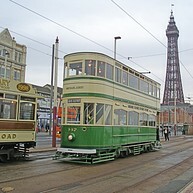 Along with performing its primary function as a means of transportation, the historic Blackpool tramway is the last one of the first-generation tramways in the UK, making it a rather unique local attraction. The line runs along the scenic coast from Blackpool to Fleetwood. 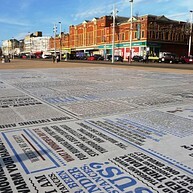 A fun way to spend a spare hour is walking over the beach side Comedy Carpet - a platform inscribed with various jokes and one-liners, some well-known classics, while others still perhaps able to draw a chuckle. The carpet is best viewed at a distance, from atop the Blackpool Tower. The Grand Theatre's repertoire is rather broad, ranging from drama performances (staged after works of classics such as Shakespeare or Steinbeck along with more contemporary authors) to opera and ballet, and even pantomime. One of the theatre's latest hits is the "Peppa Pig" show. The Blackpool Casino is an entertainment venue for guests above 21 (please remember to bring your ID). 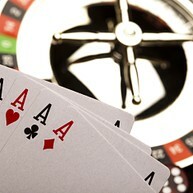 Choose from card games like blackjack and 3 card poker, or try your luck at the roulette. The Fahrenheit restaurant inside enjoys a spotless reputation. The Blackpool installment of the world-renowned wax figure museum holds replicas of iconic figures ranging from the British Royal Family to pop stars like Justin Bieber. Other "residents" include a whole array of actors, TV personalities, musicians and even E.T., the extra-terrestrial. If the weather allows, make some time for the beach - Blackpool's impressive stretch of sand that runs along the coast invites holidaymakers for a picnic, amusing donkey rides, sunbathing and swimming (during the summer). The beach is very clean and well-kept. 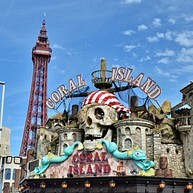 Competition is tough in England's "entertainment capital of the North", but Coral Island makes the cut as one of the city's best amusement parks. There are plenty of pursuits, including a casino, slot machines, haunted house and children's favorite monorail. Most attractions operate in bad weather.